We work with family businesses that believe in the benefits of standing out from the crowd by offering all employees cultural and social advantages beyond the financial bottom line. Oasis has advised and supported key changes within high profile family business and institutions that represent the heart of tradition in the UK. We have helped family businesses in sectors such as retail, healthcare and manufacturing, as well as assisting those that are just beginning to call themselves a family business. a feeling of loyalty towards the company you work for. 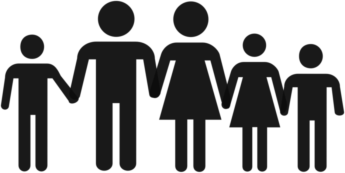 Our focus with clients is on the quality of relationships between family generations, as well as between family and business, while ensuring that our clients have the necessary legal and financial advice. We bring a depth of experience forged through close relationships and understanding of the dilemmas and challenges that come with working with family shareholders and their businesses. In 2014 our research into the Workplace of Tomorrow highlighted a number of paradoxes and principles that are highly relevant to many family-owned and run businesses. Over a number of years we have developed the ‘know how’ essential for working with uncertainty and change. We bring a commitment to applied practice and a peer-based approach to learning that frees people up to contribute and influence. We work with people’s inherent emotional intelligence to shape the more effective and honest relationships required in many families and to deal with the inevitable messiness, especially at points of transition. 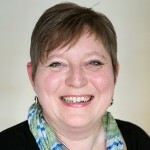 Carole-Ann Jones is an Oasis associate, consultant and facilitator, extensive career in HR and people development, MSc in Coaching and Mentoring. Co-facilitates Coaching and Mentoring with Head, Heart and Soul. Extensive experience in family businesses. 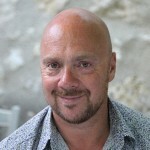 Glyn Fussell is an Oasis co-director, learning and development consultant, one-to-one developer and facilitator. Co-facilitates Coaching and Mentoring with Head, Heart and Soul and Whole Person Facilitating. Extensive experience in family businesses and leadership development. 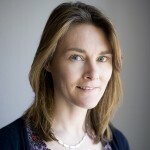 Heather Barker is an Oasis associate, consultant and facilitator. Experience in oil industry, broking and as trouble shooter. Consultancy in private, public and voluntary sectors, extensive experience in family businesses and reviewing governance, processes and risk management. 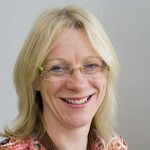 Helen Green is a consultant and facilitator, with over 20 years’ experience in HR management. Qualified psychometric tester and one-to-one developer. 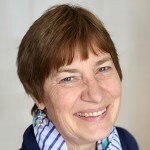 Jane Senior is a leadership and development specialist, extensive experience in people and performance management, career coaching and culture change. One-to-one developer with senior executives. CIPD qualified. Ironman triathlete and qualified personal trainer. Lise Ribeiro leads Oasis Whole Person at Work services including mediation, counselling, one-to-one development and initiatives that improve employee engagement, including our wellbeing diagnostic. 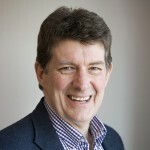 Nick Ellerby is a co-director at Oasis, extensive experience in family businesses as consultant, facilitator and one-to-one developer over 30 years. 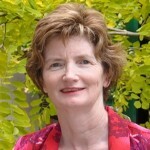 Writer and consultant on collaborative practice including whole organisational development. Co-facilitates Whole Person Facilitating. 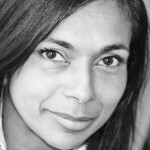 Nita Shah-Evans is a consultant, facilitator and one-to-one developer who has often worked with those who are in complex or challenging situations to make better decisions, gain clarity to lead change, develop themselves and others, to deliver organisational results. In the UK there are between 9 and 10 million employees working in family businesses. In 2010 this represented 41% of total private sector employment. Whether you have under 50 employees, or you are one of the 900 family organisations that employ over 250 staff, meeting your needs with human relations practice is our business. Please contact Nick Ellerby – Lead for Family Business Unit, Co-director at Oasis, Senior Advisor, GRLI – on 01937 541700 for a conversation or email info@oasishumanrelations.org.uk to explore this further. Oasis have helped us to strengthen our ability to work together as a family and improved our ways of communicating with each other. Working closely with them has prepared us for our longer term future, enabling us to hold effective conversations which at times have proven to be both demanding and rewarding. The work we have done together has improved cohesion and a deeper sense of engagement with the next generation of the family. Involving Oasis has developed our awareness of the challenges we have needed to face together. We have co-created and applied innovative and constructive approaches that have deepened and enhanced business and family relationships. Seven years ago, we realised that both as a business and a family, we had to tackle some serious succession issues. Moving to the collaborative approach championed by Oasis has been truly transformational, a challenging journey with family and business 'all in it together'.